Culver’s is a restaurant that built its reputation around its Butter Burger and Fresh Frozen Custard. It is privately owned by the Culver family and is based in Wisconsin. It was first opened in 1984 in Sauk City. Craig and Lea Culver with Craig’s parents started the restaurant with the mission of making every customer leave their store with a smile. Three decades passed and its owners’ mission continues. The company has grown to have branches in 500 locations in the country. Its employees are properly compensated with the salary and benefits that the company offers. These include retirement plans, insurance, healthcare assistance, paid time off, and paid trainings. For workers who want to finish studying, they can apply for a company-sponsored scholarship. For those who plan to open a restaurant of their own, they can also take advantage of the franchise mentoring programs. How old do you have to be to work at Culver’s? Job applicants are expected to be 16 years old or above to be able to work at Culver’s. Crew Member: This position requires someone who is approachable and energetic. The crew member interacts directly with customers to serve their orders. Porter: This person is responsible for maintaining the restaurant clean and sanitary to ensure that the customers will have a pleasant experience. Manager: This person works with all the employees to ensure that the standards and goals of the restaurant are met. The manager should have excellent leadership skills. General Manager: This person establishes a good relationship with customers and employees to meet operational and financial success. He controls the costs of the restaurant while maintaining its quality. 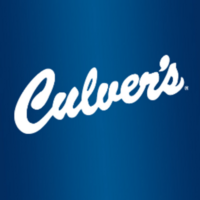 Apart from the jobs mentioned, Culver’s also offers other job opportunities including training coordinator, assistant manager, and crew chief. A talent Reef account is needed for the applicant to apply online. After creating an account, he must fill up all the fields of the application form and submit a resume. He can either visit a local branch to apply personally or use the online application process in the restaurant’s website. The nature of the company revolves around interacting with customers. Because of that, it is necessary that an applicant knows how to deal with different kinds of customers. The resume must have a focus. Do not just include any information in any part. A disorganized resume may just disappoint the hiring manager. Most of the hiring managers favor applicants who are knowledgeable about the company. It is crucial to study what the company offers to its customers to impress the manager. The restaurant uses only the highest quality of ingredients in every product it offers. It has been the company’s goal to use natural ingredients to bring out the best from a dish. Three years ago, the company created farm-inspired coloring pages. This year, children were invited to take part in this activity. Two thousand submissions were received and 27 of these will be placed in the 2017 Thank You Farmers calendar. Because of its vision, the restaurant is known for being a partner of The National FFA Organization since 1928. Both organizations promote appreciation for the sources of food. The restaurant launched a program called Thank You Farmers to raise money for the local farmers. These donations are used to give the farmers and their families an opportunity to study.